Featuring unidirectional microphone and noise-reduction sound card, the headset delivers impressively clear sound quality. Enjoy Skype calls or listen to music with ease. With 40mm driver, the over-ear headset provides you an ideal solution for chatting with your friends, colleagues or listening to music freely. 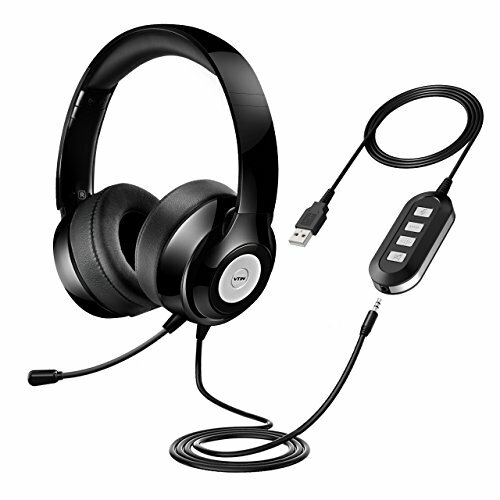 Crafted of soft protein memory foam, our headset is comfortable to wear while taking calls. Adjustable sliders make it fit your head perfectly. Sturdy construction and smooth surface stand with daily use. 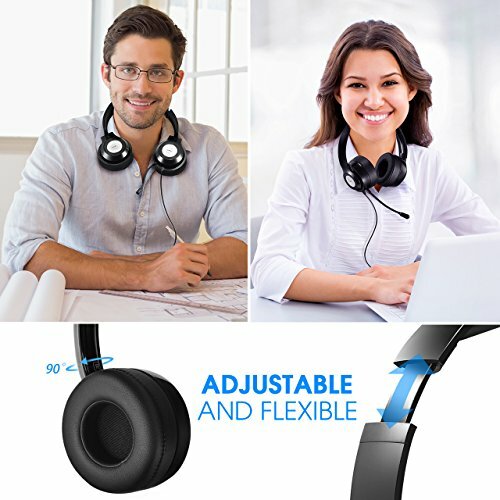 With detachable design, you can connect the headset to your computer via USB port or connect the headset with 3.5mm audio cable. 1. Please position microphone boom to your mouth precisely for optimal call quality. 4. For iPhone 7 and its above model mobile phones, please use the audio conversion cable (lightning port to 3.5 mm headphone jack converter) to connect with this headphone. 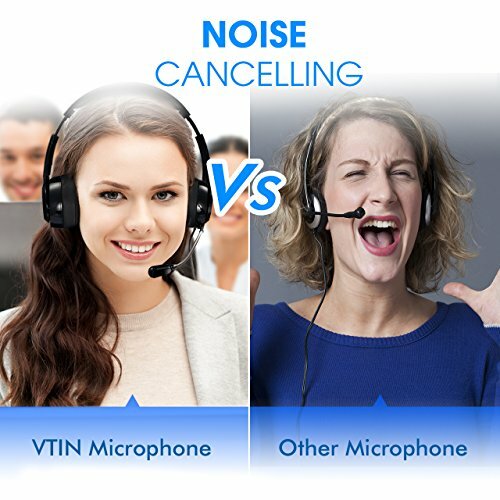 CRYSTAL CLEAR CHAT with noise canceling unidirectional mic : The built-in unidirectional microphone frees the interference from other directions and thus enables you to enjoy clear call for hassle-free communication. Adjustable microphone boom can be bended flexibly for precise voice pick-up. Perfect for Skype chat, conference calls, call center, webinar presentations and so on. 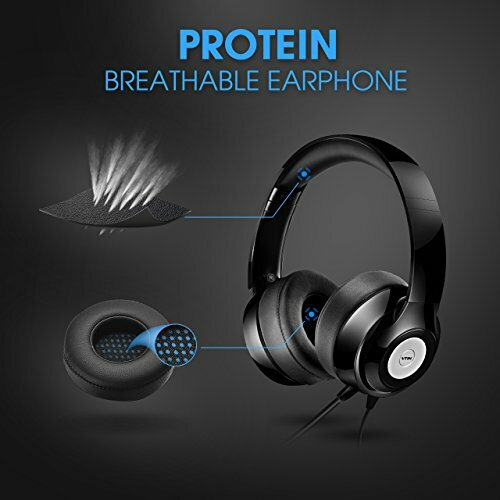 COMFORTABLE and secure fit : Earpads with soft protein memory foam and sturdy padded headband bring you incredibly comfortable wearing experience. Adjustable vertical sliders allow for personalized fit. Moreover, 90-degree rotatable ear cups make the headset ideal for space-saving storage and easy carrying. 3.5MM/USB PlUG CONNECTION available. 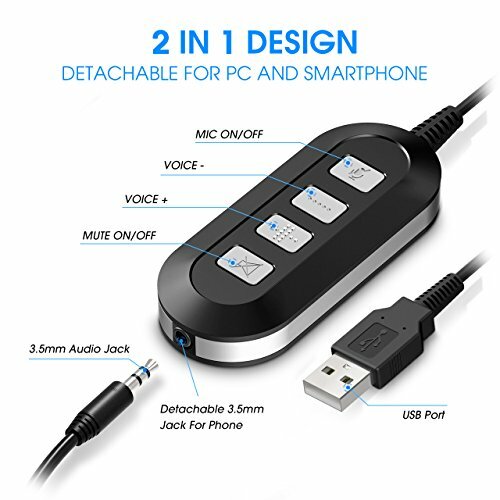 Offer you 2 connection options: Simply connect to your computer via the USB plug. You can also detach the 3.5mm audio cable from inline control and connect it to your phones and tablets. HANDY INLINE VOLUME/MUTE CONTROL and Built-in Sound Card : Easy access to volume adjustment, speaker and microphone on/off function with convenient inline control. 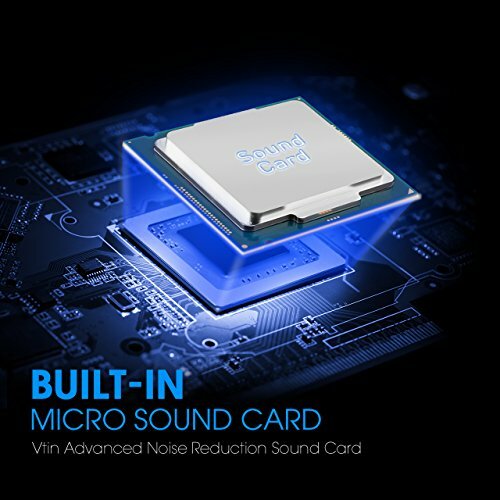 Premium sound card helps reduce the noise and optimize sound quality. 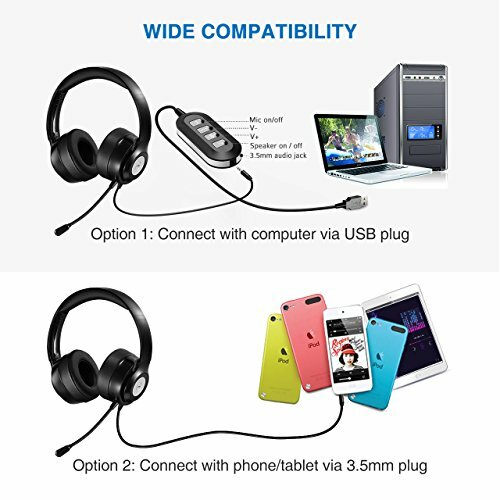 WIDE COMPATIBILITY : Designed for chatting, calling, listening to music. Compatible with Windows 2000/7/8/10/XP/Vista, Mac OS X, iOS, Android, Tablet PC. If you have any questions about this product by Vtin, contact us by completing and submitting the form below. If you are looking for a specif part number, please include it with your message.